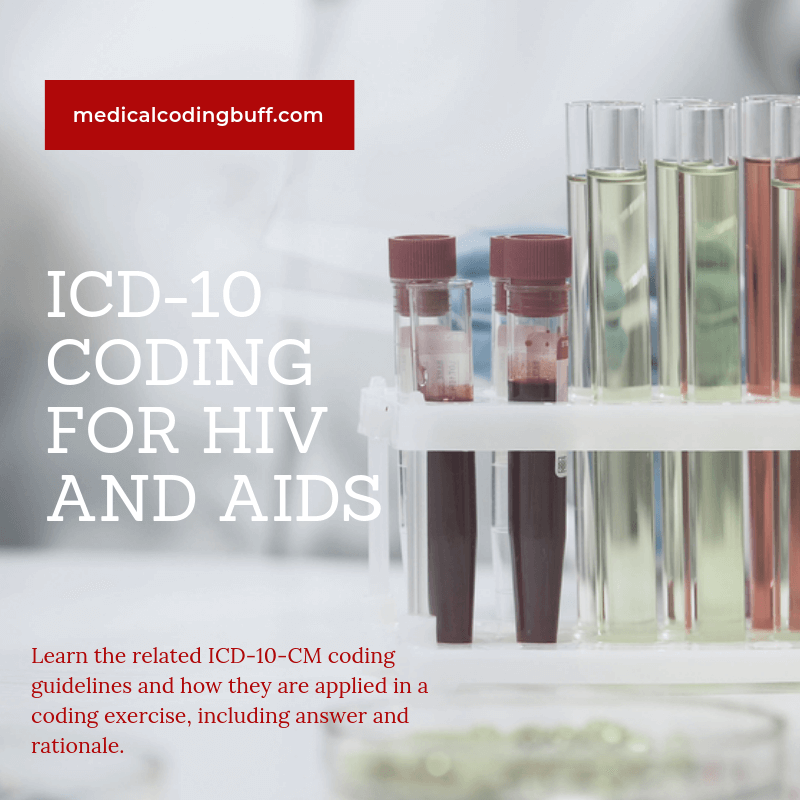 By following the coding guidelines provided below, ICD-10 coding for HIV and AIDS will be much easier. Question: Patient is diagnosed with symptomatic HIV. What ICD-10-CM code is reported? B20, Human immunodeficiency virus [HIV] disease.HIV (human immunodeficiency virus) is a virus that can lead to AIDS (acquired immunodeficiency syndrome) if not treated. According to HIV.gov, HIV is unlike some other viruses in that the body cannot completely fight off HIV no matter the treatment. Therefore, once you have HIV, you always have it. According to the ICD-10-CM Official Guidelines for Coding and Reporting, a diagnosis of HIV must be confirmed in order to code for it. Also, once a patient has symptomatic HIV, B20 should be assigned, whether the patient is currently exhibiting symptoms or not. Once a patient has been diagnosed with HIV and displays symptoms of an HIV-related condition, B20 should be assigned to every subsequent admission/encounter. In the ICD-10-CM Alphabetic Index, see HIV, B20. You can also look under Human Immunodeficiency virus (HIV) disease, (infection), B20. Verifying this code in the Tabular, B20 refers to Human immunodeficiency virus [HIV] disease. This code includes: acquired immune deficiency syndrome [AIDS]; AIDS-related complex [ARC]; and HIV infection, symptomatic. Be sure to read all the information at B20 under “Code first,” “Use additional code(s)…,” and “Excludes1” notes. Is It a Simple Belly Ache Or Crohn’s Disease With An Abscess? Metastatic Prostate Cancer to the Lungs and Which is Principal?